In a world where you must get it tatted on you so they know it's real, Chris Brown is showing love for his girlfriend Karrueche Tran with some new ink. 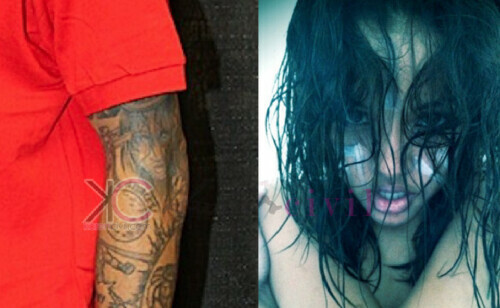 The tattoo, which is located on Breezy's arm, is a picture of Karrueche's face covered with paint and wet hair. Was the tattoo a good way for Chris to show Karrueche love, or did he take it a little too far with the body ink?